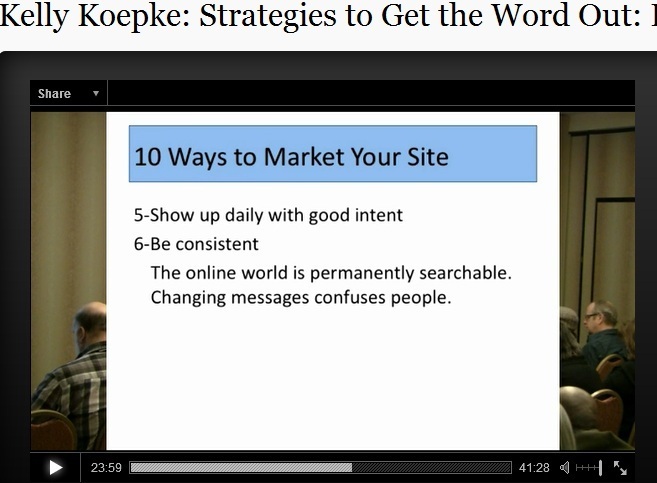 From the WordPress WordCamp in September 2011: My presentation on Strategies to Market Your Site. Enjoy! This entry was posted in Blog, Social Media Marketing on November 8, 2011 by kellykoepke.